Evergreen Foot & Ankle Specialists (Vancouver) - Book Appointment Online! 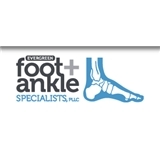 At Evergreen Foot & Ankle Specialists, we are committed to providing our patients with leading edge medical and surgical treatment of the foot and ankle. Specializing in treating conditions ranging from sports injuries and trauma, bunions, or heel pain to ingrown toe nails our clinic is here to provide you with expert care. Dr. Kurt W. Davis is Board Certified. * Our office accepts most insurance plans. We have on-site x-ray facilities and are conveniently located in Fishers Landing in Vancouver, Washington. Don’t let pain rule your life—trust Evergreen Foot & Ankle Specialists. He was very knowledgeable and got right to the point.